Victoria knew she born to perform. But with all of the pressure that young female artists face on the world stage, she needed a recipe for success. 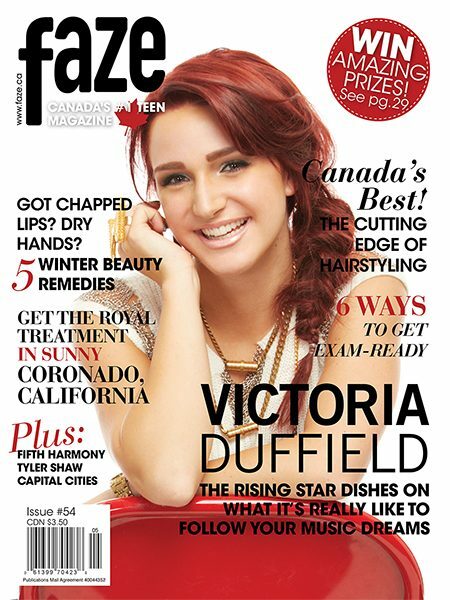 Go behind the scenes at the Faze Victoria Duffield cover shoot! Learning to Drive Standard: Should you do it? QUIZ: What is your winter wonderland? Take our personality quiz! Photography by Richard Sibbald. Styling by Carolee Custus. Hair and makeup by Esteban Ortiz, Esteban.ca. Faze assistance by Jessica Harwood, Naomi Leanage and Christina Dun.